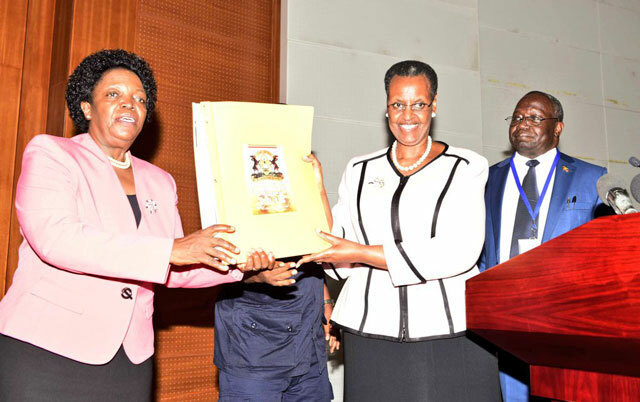 KAMPALA – The Minister of Education and Sports, Honorable and First Lady Janet Museveni will today Feb 5 release the November/December 2018 Uganda Business and Technical Examinations Board (UBTEB) results. The examinations results to be released comprise the Uganda Community Polytechnic Certificate programmes, advanced Craft Certificate programmes. According to the document signed by Onesmus Oyesigye, CPA Executive Secretary, the results will be released in the wee hours at the UBTEB Secretariat. “The Board has undertaken all the necessary quality assurance processes and done due diligence. The Board, therefore, wishes to inform the public that the November/December 2018 End of Programs Examination results for UCPC and Advanced Craft will be released to the public by Hon. Minister of Education and Sports on Tuesday 5th February 2019 at 08:00 Am at UBTEB Secretariat,” reads the document in part. Mr. Onesmus says that in the year 2018 in the category of UCPCs and Advanced Craft, the board registered a total of 5,972 of which 1,112 were female and 4,860 were male. According to the Education Ministry, this certificate is an equivalent of Uganda Certificate of Education (O’Level) offered by UNEB. After completion of this level, the candidate enrolls for National certificate in TVET for a period of two years and after enroll for Diploma and then University. At each of this stage, the candidates possess requisite competencies and skills to join world of work for employment or start their own enterprises. The Board has advised parents to ensure that students enrolling for Certificate and Diploma programmes after Senior four and Senior six join training institutions registered by Ministry of Education and Sports or National Council for higher education and programmes examined by the relevant national examinations boards like UBTEB, UNMEB and UAHEB as this will guard them from obtaining unrecognised qualifications.